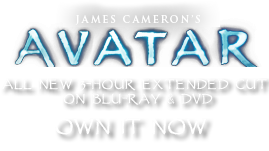 Pseudocenia simplex | Pandorapedia: The Official Guide to Pandora | Own AVATAR on Blu-ray & DVD Now! The giant leaves of leaf pitchers can be harvested and cleaned of the sticky nectar and enzyme residue inside and put to good use. Because of their large size, they make good tents and have the added feature of opening and closing in response to a light touch, reminiscent of an automatic garage door opening and closing. Taxonomy Pseudocenia simplex. Named for resemblance to Earth’s pitcher plant “Sarracenia” and simple leaf structure. Same genus as direhorse pitcher plant and chalice plant. Botanical Description Large simple carnivorous leaf curled into an open funnel shape. Contains nectar that attracts small animals. Ecology When an animal lands on the plant, the leaf quickly coils around and traps it. Enzymes inside the plant body digest animals for nutrition. Ethnobotany Leaves collected to make tents that will open and close when touched.